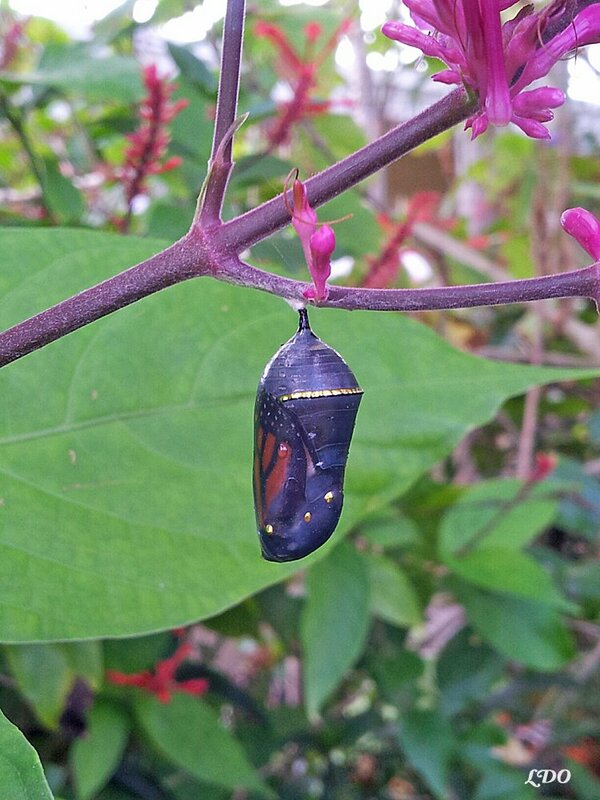 Home » Where to look for a Monarch Chrysalis in the Butterfly Garden? Where to look for a Monarch Chrysalis in the Butterfly Garden? Sadly, the answer to this question is that most of them don’t. Although the cardenolides in milkweed are toxic, they’re not toxic enough to stop a growing list of predators from devouring monarchs in all stages of life…in particular, monarch eggs and caterpillars! Monarch predators include: spiders, wasps, birds, lizards, ants, frogs, tachinid flies, stink bugs, mantids, and even lady bugs…and this is just a partial list! The estimates I hear most often (from a wide variety of sources) are between 1-10% survive when left outdoors to fend for themselves. Based on what I’ve seen and heard from other butterfly gardeners, I’d say a 5% survival rate is closer to the max. The monarchs’ saving grace is that the females lay over 400 eggs and that many butterfly enthusiasts collect eggs/caterpillars to raise indoors, where a good raising system can boost their survival rate upwards of 90%! Keep in mind, leave caterpillars to hang on milkweed can be dangerous if there are other munching monarchs in the vicinity! Firespike Chrysalis by Linda Dunbar-Orgain, Fort Lauderdale, Fl. I’m sure many other garden plants could provide a chrysalis shelter too…think broad, thick leaves and strong stems! Many in the community reported finding hidden monarch treasure under the eaves of their houses. Whenever looking for chrysalises, remember to look up too! 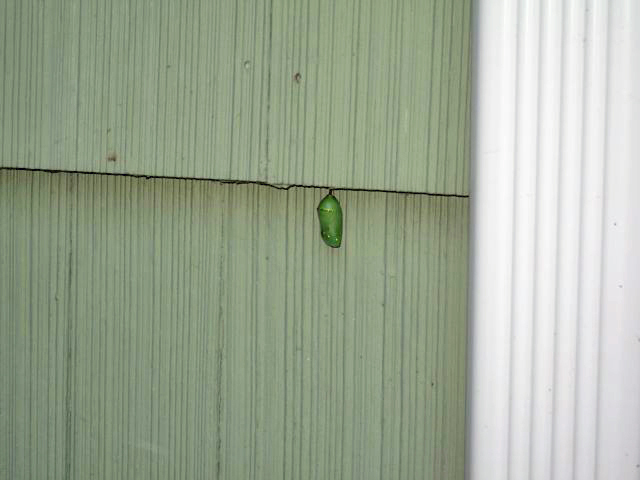 Chrysalis and Siding Become One | Photo Courtesy of Joy G.
for those on the gulf and east coasts! 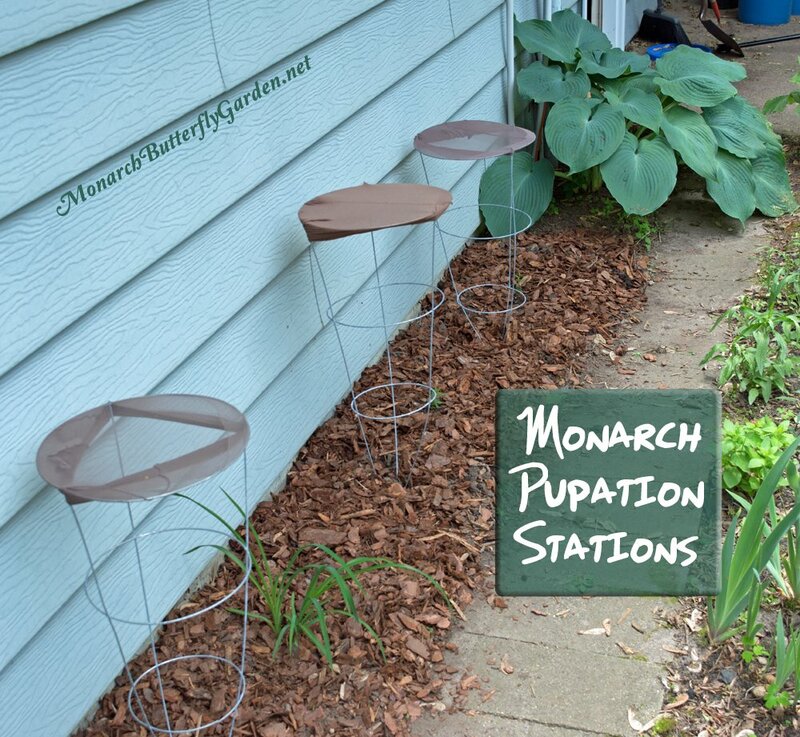 Protect your precious garden plants from those pesky critters while giving monarchs a place to hang out! One community member reported seeing dozens of Monarch chrysalides hanging like little Christmas ornaments from between the fence wire spaces. The only chrysalis I ever recall seeing in the wild was attached at the base of a large tree. For those times when they don’t feel like crawling up the pot! 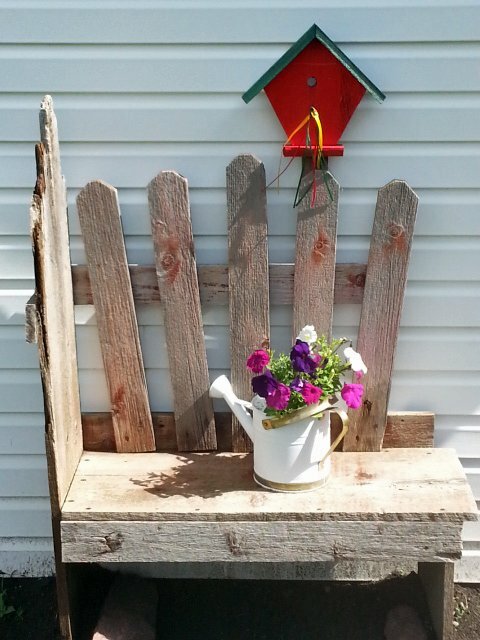 Be sure your garden art is secured so it won’t blow over in a storm. Community member Fred builds these specifically for caterpillars and calls them chrysalis houses. It sounds like a unique idea, but I would check regularly to make sure wasps don’t make it their nesting place! Community member Pauline G says during the summer the bench is surrounded by foliage and flowers, giving caterpillars plenty of options to hide their chrysalis. On the one side of the box is a stapled aluminum window screen attached to the frame. Caterpillars will climb up, attach and morph into a chrysalis on the screen. A simple idea that could be effective! Before you toss it in the yard waste, make sure it’s chrysalis-free! Stretch pantyhose over the top to give caterpillars additional room to pupate + more protection from elements. We placed these under an overhang by our swamp milkweed that doesn’t get direct rain. So excited to find a caterpillar on one the first week, but unfortunately it had been parasitized by tachinid flies. Note: A few people were surprised that some caterpillars will travel 15 or 20 feet away from the milkweed patch to pupate, trying to find that perfect place to take it to the next level! 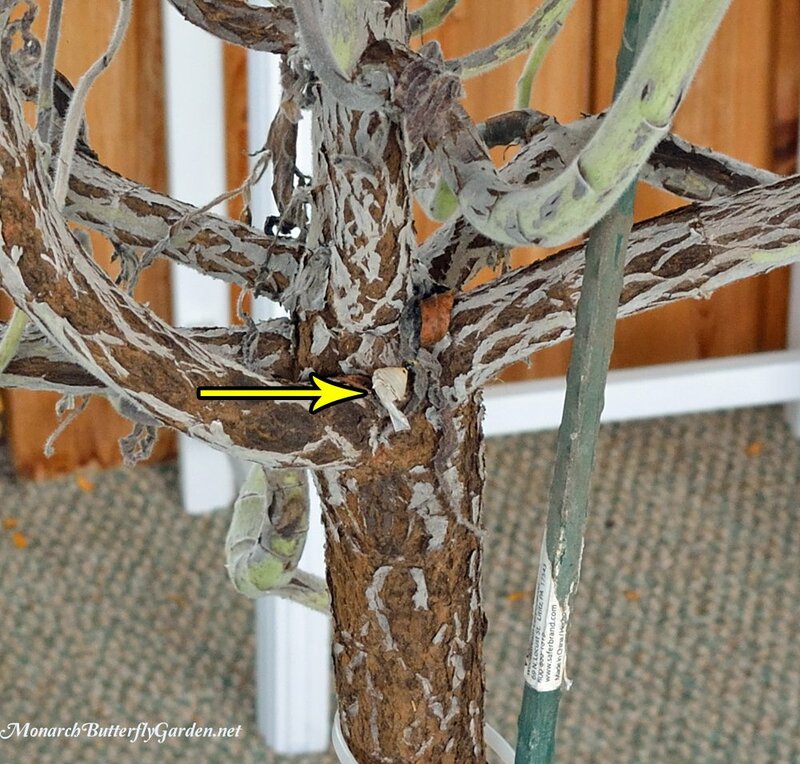 I hope this gives you a few idea of where you might find (and support) a monarch chrysalis in your butterfly garden. If you have more ideas, please post them in a comment below to help out the monarchs and the community…thanks! I planted a milkweed plant this summer and saw lots of Monarch butterflies visit it. I’m in Florida and just a couple days ago counted 31 monarch caterpillars on the plant eating away. I knew they would run out of food so bought 2 more plants and I think they will be leafless by tomorrow. The caterpillars are all different sizes and I’m afraid they will run out of food by the weekend when I can get more and will die. Can they survive for a couple days without food? I am in Albuquerque, NM and found a chrysalis at work today. It is very close to the ground on a bare branch. There are plants nearby which I saw a lot of butterflies on earlier in the day. The chrysalis looks like a monarch. I do have a butterfly net garden but am not sure if I should move the chrysalis. Is it safe soo close to the ground? We do have bunnies, squirrels, and lizards around the school too. If I could post my picture I would share it. I live in New Mexico. There are two rue plants in my garden that are covered with what looks like monarch caterpillars. It’s October! Is this the right time of year for them? I’m worried they won’t make it. We could have frost by the end of the month. What should I do for them? Hi Maria, sounds like either black swallowtails or giant swallowtails…in many regions, these late generations will overwinter inside their chrysalides. Do the caterpillars look similar to either of these? I wish I had found this wealth of information a bit earlier. Milkweed planted itself in my garden about three years ago. This is the first year I’ve seen caterpillars on them! Now, they’ve all ‘disappeared’. I suppose they have moved on to the next stage and luckily I have vines, a lilac and a burning bush nearby. I can’t really hunt for them but I will be keeping an eye out for new butterflies. I’ve heard 10 days or so? Hi Dana, typically about 10-14 days. Tony – I had a cat that was ready to pupate escape it’s enclosure while I was at work yesterday and can’t find the chrysalis anywhere in my house. Feeling a bit frantic. Learned a good lesson to keep future enclosures more secure but meanwhile I need to find this one since I don’t want a butterfly in my house! The container was on my kitchen counter and I’ve looked under the countertops, cupboards, chairs, tables, windows, etc and can’t find it. Any suggestions to help with this? How far might it have traveled? Thanks. I’ve had no luck locating the chrysalis so wondering if there’s a trick to getting the butterfly out of the house once it does appear? Will it naturally gravitate to my sliding glass doors or should I try to find a net to capture it and release it? Thank you! Keep scanning the floor. We had an escapee last week and were resigned to waiting for a butterfly to try to capture, until I noticed a discarded caterpillar skin under one of our kitchen chairs. 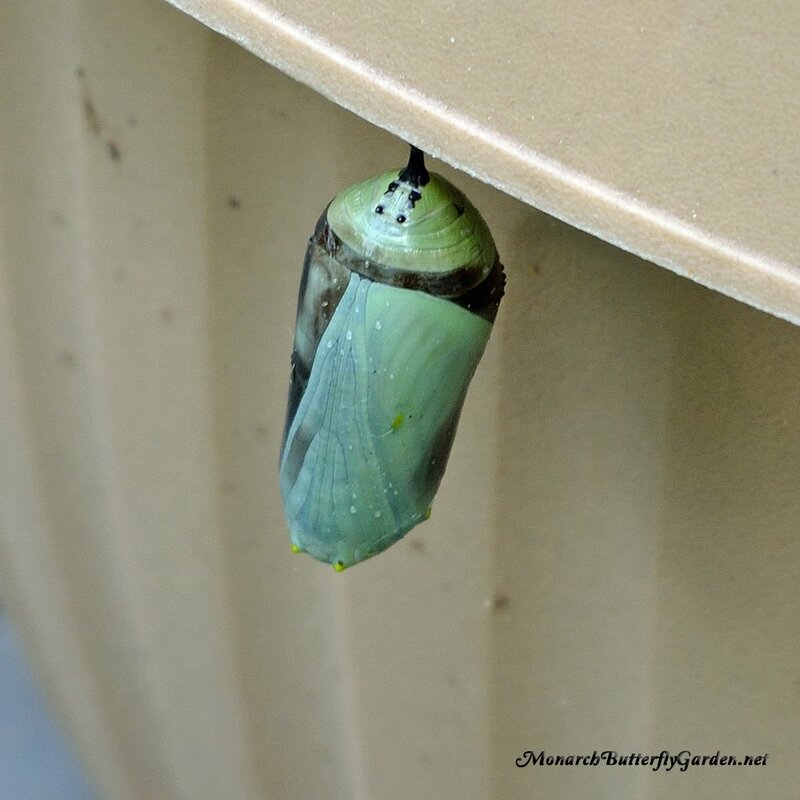 The chrysalis was attached to the bottom of the chair seat, and I then transferred it back to the enclosure. Hi Gail, it should fly toward a window once it emerges and dries its wings. If you can’t catch it, you could use a net. Before my husband and I started raising monarchs indoors, a giant palm tree in our backyard was the preferred location for the monarch chrysalises. We found about twelve discarded chrysalises from successfully e-closed butterflies all along the trunk of the tree! I just found a Monarch cacoon lying on the pavement in my back yard. Any suggestions as to how to keep it alive and survive to become a beautiful butterfly? I now have it propt up in a potted plant…. near where it had been hanging on the edge of a table. Hello from Wisconsin – In the past, I’ve brought in large caterpillars in early fall that I believe to be the monarchs that would migrate. Last week, for the first time, I brought in 4 large cats and 6 eggs. First time trying to do a hatch indoors. To my great surprise, all six eggs have hatched and the cats are now one week old and doing well. As for the big guys #1 is now a beautiful green gem. #2 has started to make its silk dot for a Jhang. #3 has just climbed to the top of cage and is hunting for the perfect place. #4 is munching away as he or she is just a day or two younger. All is well at my Monarch haven! If I have a male and female butterfly emerge about the same time, what are the odds that I could get the two together and have a fertile female. How large of a container, can I keep the butterflies in? Or am I better off simply doing a release and hope for the mating to happen in the garden.? Hi Rose, you don’t want to mate ‘siblings’ as this can create less healthy butterflies. Butterflies will still be mating through mid to late August, so I would release them to continue the circle of life. congrats on a successful season! We purchased a caterpillar kit from Monarch Watch this year for the first time, as we have an abundance of milkweed growing in our yard (in MA). We have about a dozen healthy caterpillars in varying sizes. Our plan is to move the caterpillars, as they get larger, to milkweed plants and cover with netting to keep them safe. My question is, will they form their chrysalis on the milkweed plant if that is their only option? I could also attach a branch to the plant within the netting. We would rather they not crawl away as we won’t know if they survived. Hi Kevin, they will sometimes form chrysalides under milkweed leaves. The risk is that another caterpillar chews through the leaf and knocks it down. You could put in a stick or other objects to hang from, or they might hang from the netting…good luck! My first attempt at propogating monarchs! I live in Oceanside , ca. I’m having great success. Already have had 3 successful hatchlings. I came to this site looking for the reason these second generation guys wanna jump ship from the pot they’re in..
a butterfly garden with tons of plants. Huge caterpillar munching away. I am in Ramona, Ca..
We need your help! My family planted a milkweed in S. California in order to attract monarchs and watch this amazing process from larva to butterfly. We finally have a very large caterpillar and he crawled out of the pot (where the milkweed is planted) and onto a nearby wall. I’m worried it’s not going to find an appropriate spot to form a Chrysalis. Should i transfer back to the milkweed or just let nature take its course? Hi Ben, if you don’t have a cage, I would put it in a jar with milkweed (in case it’s not ready to pupate) and put tulle fabric or pantyhose over the top and secure with a rubber band. It can form it’s chrysalis on that top fabric…good luck! Hi Tony, I just found my very first Monarch butterfly chrysalis EVER yesterday! I was very excited (then totally freaked out) to finally see one in our garden but I’ve never taken care of monarchs before! With the help of the info I found here I was able to successfully move the chrysalis indoors (keeping it attached to the original branch where it was formed) but now I have no idea what to do next- should I keep the makeshift cage in a specific location within my home? Should I do anything to keep the moisture level balanced? Should I be worried that it looks like there are dew drops coming from the chrysalis? Please help! hopefully the chrysalis has stopped leaking fluid and has not deflated…all you can do now is monitor. good luck! Is there a way to tell when a large “mature-looking” caterpillar is ready to pupate? I live in southern California and in December I found a few wandering and brought them inside. I also found a few on plants other than milkweed and brought them inside. These crawled to the screen on top of my container and pupated. There have also been a few that looked “mature”. These I brought inside but all they did was climb the side of my container and stay there. I put these back outside on milkweed and they continued to eat. How do I catch them just before they wander off? If you are going to raise indoors, I recommend bringing in eggs or tiny caterpillars to reduce the risk of disease and parasites. Good luck! Thank you Tony for your advice. If I find them when I am prepared with butterfly cages, I’ll bring them in to raise them. Take care! Hi Tony! I got the cages I ordered from you very quickly. Thank you! I was able to put the cages right to work. In the last couple days I found 4 good sized Monarch caterpillars on my Common Milkweed plants out of the corner of my eye just as I was walking by. I got two in already, one two days ago and one last night, and will try to get the others today. I ran out of daylight last night as I tried to prepare some small Common Milkweed plants for them first before I went out to get them. I could only get one last night before I couldn’t see anymore. Your book and tips are very helpful! I’ve never done this so I’m following your instructions. I still have some young Common Milkweed plants that keep popping up so I have used these for the caterpillars. They are still pretty young and have tender leaves. I found an egg on one surprisingly and separated that and put it in a separate container. So I have the egg in a container and the two new cages from you going right now. Hopefully everything will work! Hi Tony! I am a basic ametuer when I comes to finding Monarch eggs or caterpillars. I have worked hard establishing 3 large Common Milkweed patches in my field the last few years to give the Monarchs what they need if they choose to use them. I continue to try to expand on this. I have never raised a Monarch caterpillar. However, I found 2 Monarch caterpillars a couple days ago while walking my dog and just noticied some unique eating patterns of the leaves. For the past couple days, I have not been able to find them again. Could they have moved to a fresher nearby plant? I had a sinking feeling that they could have been eaten by something and that I could have done something by bringing them away to raise them. I felt bad if this happened but I had nothing to put them in. In case this happens again, I just ordered a couple cages and some floral picks from you. I don’t really know what I’m doing but at least I can be prepared now. Thanks. Hi Jaremy, best-case scenario is that your caterpillars crawled off to form their chrysalides…the worst-case is that they were found by the surprisingly long list of monarch predators. The good news is that next time you find eggs/caterpillars you will be prepared to take action right away. 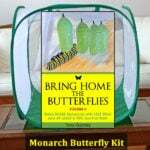 Raising monarchs is an awe-inspiring experience, and your survival rate indoors will far exceed the low survival rate outdoors. I hope you will get a chance to raise this season…good luck! I have about 15 butterfly weeds that are now food for the Monarch caterpillars. My two questions are: (1) am I supposed to cut back these plants every year in order for them to grow fuller in the spring? This time I did not do that and the caterpillars look like they are running out of food – the plants are nearly stripped; (2) shall I move the caterpillars to fuller plants so they don’t starve, or leave them be? They are various sizes. Hi Kathy, cutting back plants encourages bushier growth with more foliage, but you don’t have to do it. However, if you have milkweed shortages it’s probably a good idea. If caterpillars run out of milkweed, you can move them but if there are other plants within a few feet, they should be able to find them. good luck! I have many plants, yet at times the caterpillars seem to over populate on an individual plant. (The other day I counted 15 on one plant!) I have moved them to less populated plants, but prefer to traveling plants to supplement instead. If a plant appears stripped for the amount of remaining caterpillars, I place a plant with foliage next to it, letting the branches of the plants mingle. This method has worked very well for me. I’ve been working on a flower garden for Gloria for about a year now…just recently I potted some milkweed and she has found 2 crysallis in the garden, one is on a fire pit close to the milkweed and the most recent is on the milkweed itself. It looks extremely healthy with amazing colour…I’d like to share a picture of our exciting find! I started a small butterfly garden off my patio this last Spring. When I went out to take a last picture before the first freeze to my surprise my 3 milkweed were covered with Monarch Catepillars. After stripping the Milkweed have moved away to hang…so now I am on Crysalis watch, I counted 15 that I can see. I have several on the patio, on stucco pillars, the window sills, one under the bottom of a watercan, on a broom and a pot like you say. Exciting to end the fall like this ! congrats Fabiola and good luck with your late season garden monarchs! I have a neighbor in NE Alabama who has 37 chrysalides hanging from every imaginable surface – about a third on bushes – in her yard right now! Two have eclosed and flown away; one has turned black and has likely perished; two are showing full color so we’re watching and the rest are green and still seem to be thriving. It’s 55’ish and raining, so not sure how that will impact. Improved weather just ahead. Hi Cheryl, that’s amazing to have so many survive outdoors. It sounds like the predators have not found her garden yet…I hope it stays hidden! Hi – hope someone can answer this quickly. We planted some milkweed in our yard last year, along the sunny side of our driveway and now have some monarch caterpillars that look like they’re soon going to be ready to pupate. A week ago we noticed that, although it’s the end of August and the plants are only about one foot tall and have no blooms, it looked like something was eating holes in the leaves. Two days ago we noticed a caterpillar on one plant, and then another and another and one was smaller and pale and a couple were bigger and striped yellow and black. When we first saw the three caterpillars we thought it would be a good idea to try to protect them from predators like birds and wasps by covering the small patch of milkweed with some fine netting. I put a flower pot with a metal wire extension that is supposed to hold a taller plant in place under the net next to the milkweed. I think they could use that. But I’ve read online that when the caterpillars are ready to find a place for a chrysalis, they usually try to wander away from the milkweed plants to find more secluded vegetation or even a structure to climb and attach to for pupation. So my question is, should we open up the netting so they can wander away and find a good spot for pupation or should we keep them enclosed and try to put more things under the netting that they will like to hang from? Since this patch of milkweed is between our house and our gravel driveway in an urban area, it doesn’t seem to me that there are many good places nearby for them to find if we let them go wandering. Should we pack up the caterpillars and take them to a nearby park with a meadow full of milkweed and release them there? We want to do whatever will increase the likelihood of at least some of them surviving into fully functioning adults who might make their way to Mexico in a few months! Thanks for any prompt advice! Hi Nancy and Mike, I usually bring them indoors, but if you’re not able to do that you could try the netting. Just make sure there is enough milkweed under the netting to sustain them to the next phase of development…and then make sure to remove the netting when they eclose into butterflies. Thanks Tony – I think we’d be better off leaving them under the netting since we don’t have a place to put them indoors. Do you think they’ll maybe fix themselves on the net to pupate? That might be a problem if we need to remove the netting when they’re ready to fly away since they seem to be staggered in age a few days or more apart. Is there something else we should put in there to provide more hanging space than the flower pot? Like maybe a plant of some sort that also would provide some shade? We have an old poinsettia from last Christmas that would fit and it still has a lot of leaves on it, but I didn’t know if it would be toxic for the caterpillars to be around? We could find a better plant if you think that’s the way to go. Thanks again for your prompt reply! This is a great site and we’ve sent your link to several friends over the past couple of days. Hi again, they will pupate on the netting or under a leaf. Yes, you could try putting another big-leaf plant under the netting for them to pupate on. I don’t think a poinsettia would be toxic to them, as they would only eat the milkweed. Hello, I’m so happy to find your site! I have been nurturing a native wildflower garden (I live in Missouri) for over 5 years planting new native species each year to attract a variety of birds and butterflies but this is our first seasonto have milkweed. I’m beyond pleased to report that just this evening, 8-27-15, my husband and I counted 21 Monarch caterpillars on our milkweed! We are also birdwatchers and one evening while having dinner we saw a titmouse fly in and pull a swallowtail caterpillar right off of our dill! Although it was so discouraging, we do realize it’s all a part of nature. But, I can’t help but feel like the birds are just hanging out waiting for their opportunity to feast on the caterpillars I’ve worked so hard to make a home for! I want to thank you for providing so much information. 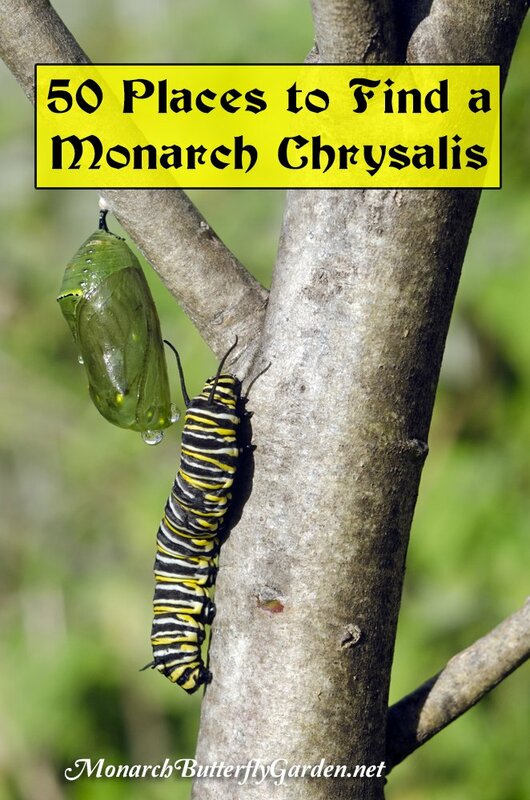 I found your site through a Google search for info on the Monarch chrysalis. If you know of a website that is local to me here in Missouri I’d appreciate the info. Hi Gayle, congratulations on all the monarch (and other wildlife) activity in your native garden…great news! Many of those monarchs should be part of the migration generation. I am not aware of any monarch resources specific to your region, but much of the info you find here should be relevant to your region since I am located in Minnesota. Good luck! Hi Dale, they will let you know when they are done eating. Some grow larger than others so don’t take away food prematurely or it may keep them from completing metamorphosis. Good luck with your Bermuda monarchs! Thanks for all you do to help monarch butterflies! Your blog is awesome. Keep up the good work! I found a chrysalis lying on the ground. Is there a way to re-attach it to something? Hi Lynda, if it’s a monarch chrysalis, you can tie dental floss around the cremaster (black part above chrysalis) and then hang or tape it up somewhere….for instance you could tape the floss under a cupboard and let the chrysalis hang. Put a soft towel underneath in case it falls. If you have a mesh cage, you can just lay the chrysalis on the floor by a mesh wall and the butterfly can climb up the mesh when it emerges. Years ago, I had a home daycare and as a craft, we made Monarch caterpillars out of egg cartons. I was raising Monarchs in my house at the time in an aquarium. We set the crafted caterpillars on top of the aquarium and voila! The cats each found their own little cubicle in the upside-down egg carton. This idea was quite handy and I used it a lot from then on. Chatham On Canada. Hi Marilou, thanks for sharing your raising tip. Have a good season in Ontario. Los Angeles area (Cypress). A second set of caterpillars have grown on milkweed and three are almost to chrysalis stage. The first monarchs butterflies visited my neighborhood and garden in late April, which is earlier than usual and before any of my milkweeds had many leaves. Local nurseries only had 2″ seedlings. Eggs were laid on milkweeds, and caterpillars emerged, but I was not prepared to take care of them due to travel for work. Despite these odds , I was surprised later to find a chrysalis on a nearby hibiscus (evergreen tropical) and one hanging on the edge of a teracotta pot about ten feet from any milkweed. Much later, I saw one new butterfly in the vegetable garden, flexing its new wings. I hope to be ready for the next generation. Back to spider mites. they began to be a problem to me last year. I tried insecticidal soap, left it on for 15 minutes, then rinsed off the plants. Rinsed them again the next day. A few weeks later I transferred some cats to these plants in my raising cage, and they all died!!! So Insecticidal soap is off the table. This year spider mites showed up in all my plants, older ones that survived the winter, as well as the tiny plants newly grown from seeds. Bad infestation. Plants covered in webs and leaves having white striations. I have four raised beds with milkweed, 4×10 each. Hundreds of plants. In desperation, a few days ago, I heavily sprayed the beds with spectracide. the next day I cut all plants down to just one leaf at the very bottom, in hopes that the butterflys won’t lay eggs that low. I am not sure how many of the plants will survive this severe treatment. Bugs definitely died, because the tiny saucers that I have in the beds to trap pill bugs have been empty. I desperately need any suggestions about the spider mites. I live in Austin Tx, have a severe problem with aphids also, but keep them under control by squishing and rinsing, but it is impossible to squish what you can’t see (the mites). Hi Ruth, sorry to hear about your experience with insecticidal soap. Is it possible the plants weren’t rinsed thoroughly after use? Spider mites don’t like water, so your best “non-chemical” solution is to cut back and discard the most affected areas and spray down the plants on a daily basis until there is no sign of them…good luck! We have a caterpillar that has started to pupate . How many days before it turns into a Monarch? 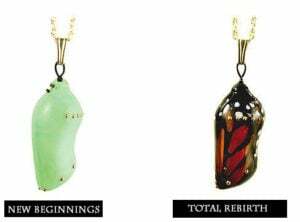 Hi Nina, the chrysalis stage lasts 9-14 days…good luck! Tony, I always look forward to your letters. They are so helpful. I live northern Illinois close to Wisconsin border. Found my first caterpillar this week. I also found Swallowtails flying around last year. Planted dill, fennel, parsley, Queen Anne Lace and rue this year. Read once exposed to rue, will not lay eggs on the other ones I mentioned. Will have to check on trees you mentioned. Have a great summer. Hi Judy, thank you for your comment. I’ve stepped back from raising BST’s but their favorites in our garden have traditionally been smokey fennel and rue. I’m not sure about the sweeping generalizations of what they will oviposit on. I think a lot of it has to do with the condition of the particular plant when they arrive. Does it look healthy? Are there predators? That’s why having several plant options/species is always a good idea. I’ve seen them on the chain link fence and post, walls…also, on the underside of bromeliads. Make sure to discourage from an exposed area to the sun as well, they will be cooked. that happened in my daughters school. I started a butterfly garden with the help of the art teacher. We entered the Fairchild Challenge as every year and one some categories, truly rewarding to help the students become so enthusiastic about the butterflies and their plants. Thank you for sharing your chrysalis experience and for sharing your love of butterflies with the next generation…I hope the school butterfly garden continues to thrive! Very good, just goes to show how creative and resourceful these beauties are. I do my best to raise indoors. But, I have not seen an egg in about a month. First time for me. Have three chrysalises in an enclosure. Hope at least one is a female. Hooray! First monarch butterfly emerged this morning! I have about 8 more chrysalises waiting to pop. After finding several cats on the ground with wasps on them , I began using mesh enclosures which are just mesh hampers with mesh covers. I put a healthy MW plant in the enclosure. As I find a catepillar on my plants, I transfer it to the enclosure. The cats have been pupating on the side of the enclosure or on the MW itself. Is there such a thing as being too successful? I am feeding a lot of cats and they are stripping the leaves of the enclosure plant quickly. So I am off again today to buy a few more plants. My own seedlings won’t be ready until much later in the year, if at all. I can believe that cat survival rates in the wild are very low. The wasps land on the mesh enclosures every day…just hoping! Hi Sally, one monarch female can lay hundreds of eggs, so some predation actually helps to keep their numbers down so you don’t experience “milkweed emergencies” on a daily basis. I give myself raising limits, and then let the others fend for themselves. It sounds a little harsh, but it helps to promote a healthy ecosystem, and insures you always have a fresh supply of milkweed to feed those you are raising. Raising can get out of control if you try to bring in every caterpillar…good luck! milkweed plants don’t need to be big to receive monarch eggs. In fact, many times they prefer laying on young seedlings. With an established butterfly garden, we typically get early activity in our Minnesota garden (typically sometime middle to end of May). There are also fewer monarchs at the beginning of the season. It’s takes a couple generations to replenish the population. Hopefully there will be a population boom toward the end of June when the next generation emerges from their chrysalides…so keep looking! Thanks for all the advice for us novices. I live in San Diego and am a first year monarch person. I was able to purchase 5 healthy tropical milkweed from local nurseries and have about 6 catepillars and 1 crysalis right now. I have sown a lot of milkweed seeds and am growing the seedlings under shade cloth to protect them from our Southern California sun. Most of my seedlings have 2-6 leaves now. I have about 30, of 4 different species. My question: A monarch visited the seedlings today, bypassing the adjacent adult plants. She laid eggs on about 8 seedlings. Really, the seedlings couldn’t even support her weight. What to do? Keep an eye on the seedlings and transfer the catepillars to bigger plants? Put the seedlings in mesh containers to keep the catepillars from wandering off? Any advice would be welcome. I checked the larger plants: no eggs. i love your informative site, i have released 21 monarchs this year, we started getting eggs in March of this year here in Port Richey, Florida. It seems now they have slowed down a bit, I am upset of late however, as i have plants in my garden and i also have no choice but to buy extra plants for food from the “Box Stores”. It seems lately they all must be using pesticides in their supposedly”organic” soil, as i keep losing my beautiful caterpillars or they go to chrysalis and then aren’t the best health butterfly. I am very discouraged. I had to put 5 cats down over the weekend. I am going to write to the corporate headquarters of these box stores and make a complaint and ask what can be done to prevent this from happening? It’s like hit and miss lately. I get a good healthy plant and then next time it kills my cats. Also getting a lot of spider mites this year and white powdery leaves. I used the soapy organic sprays, i have changed the soil in most of the plants, i wonder if you have any ideas that i can do to save these plants and cats. 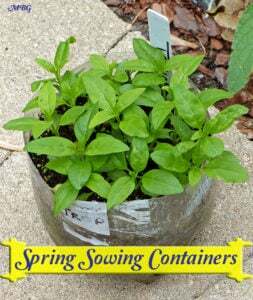 Also consider planting seeds in fall and late winter/early spring. The more milkweed you have established, the less likely you’ll have milkweed emergencies that force you to buy milkweed from questionable resources. As for spider mites, you can use insecticidal soap but rinsing off your plants with water on a regular basis also works since they prefer dry conditions. If they are particularly bad on certain sections of your plant, cut those sections back and discard. good luck! We haven’t seen any monarchs where i live in RI, but I have the milkweed anyways just in case….we usually have the eastern swallowtail and the black swallowtail. Helen, it seems like there have been a good number of early monarch sightings out east, so keep checking your milkweed…good luck! Hi Pam, I am glad to hear you find the info on the site helpful…I try my best! We do get limited eggs on BW, but it is definitely not a preferred milkweed species in our garden. We get a lot of early activity on both common and swamp, but they are growing in different micro-climates of the garden. The common gets hot afternoon sun and there seems to be more predators buzzing around it. The swamp gets a lot of morning shade, and the eggs/caterpillars seem to crawl under the radar more often. Sometimes, it’s not what you plant, but where you plant it. We are starting to try varieties in different locations to see what their preferences are. Of course, your findings may be different in your region. I would definitely try both…remember swamp doesn’t have the rhizomes and is less invasive, but the rhizomes help common to be a more drought-resistant plant. So, a few factors to consider. Thanks for all the tips! I found two caterpillars on my (potted) milkweed last year but neither made it. 🙁 Do you advise covering the plant with a mesh protector? Thanks! Hoping for survivors this year! Hi Yazmeen, it really depends on your particular situation. In our garden, we plant several species and plant them in several areas of the yard and garden so some eggs/caterpillars usually fly under the radar. If you only have one patch, mesh may be more of a necessity. If you have mesh over the plants it can protect them against big pests like rabbits (that will eat milkweed), and reduce risk from flying predators like wasps/flies, but there’s still ants, spiders, etc. Your best bet is bringing a few inside to raise…otherwise, there’s a lot of luck involved in having monarchs survive to adulthood outdoors. I’ve found your e mails and website to be very useful in the monarch conservation project at the park where I am a volunteer naturalist. We’ve never had Monarchs lay eggs on our Butterfly weed? Do Monarchs prefer Common or Swamp Milkweed over Butterfly weed? 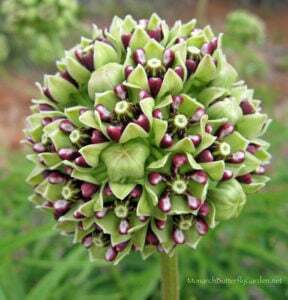 In the east from my experience, the monarchs prefer Swamp Milkweed, asclepias incarnata, over Common Milkweed or Butterfly Weed. The only chrysalis I ever found in the wild was on a plant a few feet away from some swamp milkweed. I brought it home and the butterfly emerged 🙂 I love raising Monarchs. Thanks for sharing your experience and happy raising this summer! I have 7 potted milkweed plants. I have never seen an egg on my plants. Been raising milkweed for my granchildren, usually order the caterpillars. Would love to find some cats on my plants. I have potted milkweed plants on my patio outside and I have eggs on the plant. I have them in a spot where I have seen monarchs flying around and I’ve watched them land and deposit eggs. I’ve bought plants from my nursery that have eggs on them and yesterday I bought a plant that had a 4th instar cat on it. I don’t know if it makes any difference but I live in Southern Ca. and the plants are tropical milkweeds. Well done Tony!!! You’ve given many ideas on where to look…the trick is opening your eyes to see them!! !